As one of the most powerful range manufacturers in the world, it comes as no surprise that professional chefs love Falcon – but why should chefs have all the fun? Although Falcon range cookers are built to perform in the toughest of commercial environments, they’re also stylish enough to sit nicely in any traditional or contemporary household and are certain to bring a fresh approach to cooking to your home. Falcon’s pedigree has long been recognised in the commercial catering industry, and the core values surrounding durability and simplicity have been easily transferred to domestic settings. Each Falcon range cooker comes complete with the signature Falcon heavy-gauge feel, although the real beauty has to be in the easy to understand control system – there’s no unnecessary bells and whistles, allowing you to have a hassle-free cooking experience. 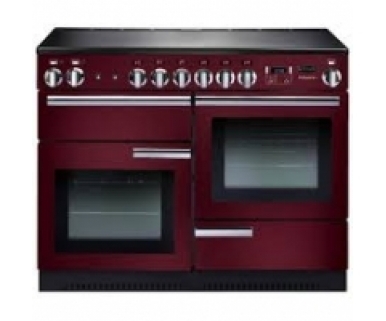 Each Falcon range cooker features a multi-function oven complete with fanned top/bottom grill elements to provide the ultimate in cooking flexibility, and some models even have a second fanned oven. In terms of keeping things traditional, a separate grill cavity is available on every Falcon range cooker with the exception of the Falcon Continental and single-cavity Falcon 900S models. Falcon units also have incredibly powerful gas burners which are perfect for boiling vegetables and pasta. The stainless steel supports are also useful for wok cooking, allowing you to create cuisines from around the world with the minimum of fuss – all you need is the recipe, and you can cook away, safe in the knowledge that your Falcon range cooker has the power to deliver the perfect results, time after time. Falcon range cooker oven cavities come complete with self-cleaning catalytic liners, which means you can get on with cooking without having to worry about carbon build up. Falcon units are available with a stainless steel exterior which is incredibly easy to wipe clean, also. If you require a matching extractor hood or splashback you’re in luck, as Falcon manufactures a wide range of accessories to suit each and every model available.